They are out there. You'll find their postings in forums and on mailing lists. They write blogs, maintain wikis, personal web sites and participate in beta programs. They provide the articles, tips and tools to be found on Cool Solutions. These are the people that love to share their experience, knowledge and expertise both with the company, and all the others within the community. 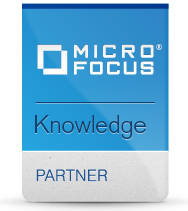 They contribute the best, most up to date, real world experiences and expertise to the community that even we at Micro Focus/SUSE can't always match. Knowledge Partners are nominated and selected by their peers and represent the best and the brightest contributors to shared knowledge surrounding our products. Twice a year, we have the pleasure of reviewing the nominations with those in the program and interested Employees from around the three business units. After review to ensure a nominated individual has the expertise, quality contributions, and temperament necessary to meet program standards, selected nominees will be invited to join the Knowledge Partner program. 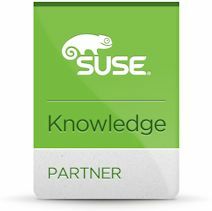 Knowledge Partners have access to our private forums and direct, private contact with the Knowledge Partner Support Team and other Knowledge Partners. Information about current Knowledge Partners can be found here.